Galway City is nicknamed the Cultural Heart of Ireland. It is definitely true to its name as it hosts various festivals and celebrations throughout the year including the Oyster Festival, the Arts Festival, Galway Races, the Jazz Festival and also the Galway Film Fleadh to name several! One especially important festival in the social calendar is the International Oyster Festival. This takes place each year in September, and draws visitors from all across the world to the city. As well as attracting thousands of food producers, desperate to show off their wares to the world, visitors can also enjoy music, dancing and other celebrations of Irish culture and hospitality. Compare cheap Galway car hire deals and see how much money you can save. 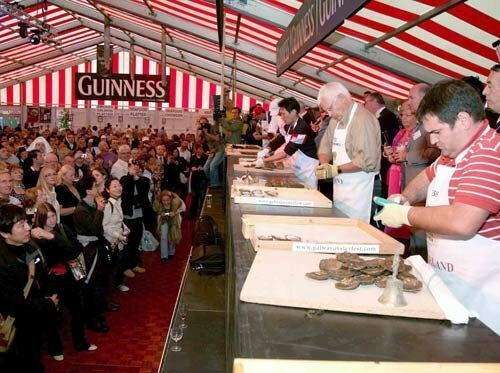 The British newspaper the Sunday Times rated the festival as one of the world’s greatest events recently, and anyone who has spent time in Galway during the Oyster Festival will certainly subscribe to a similar point of view.